Accessories set for wood cleaning 26435530 https://www.kaercher.com/ge/accessory/accessories-set-for-wood-cleaning-26435530.html Accessories kit for wood cleaning. With Power scrubber PS 40, Wood Cleaner 3-in-1 and Connect 'n' Clean FJ 10 C foam jet. Ideal for cleaning and maintaining wood and stone surfaces. Accessories kit for wood cleaning. With Power scrubber PS 40, Wood Cleaner 3-in-1 and Connect 'n' Clean FJ 10 C foam jet. Ideal for cleaning and maintaining wood and stone surfaces. The accessories kit for wood cleaning is the ideal set for cleaning and maintaining wood and stone surfaces. 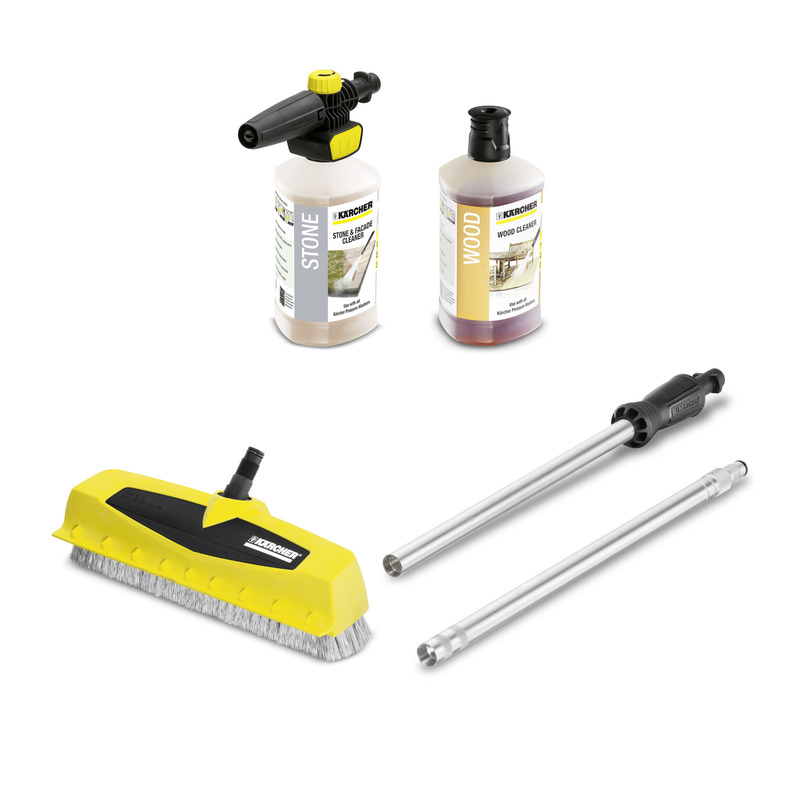 The practical set includes a Power scrubber PS 40 for powerful and effective cleaning of diverse surfaces – perfect for stairs and edges, a 1-litre bottle of Wood Cleaner 3-in-1 for maximum cleaning efficiency, optimal care and perfect protection in only one step, as well as the Connect 'n' Clean FJ 10 C foam jet incl. a 1-litre bottle of stone cleaner for cleaning and maintaining stone surfaces. Thanks to the practical quick-change system of the Connect 'n' Clean FJ 10 C foam jet, the detergent bottles can be easily replaced. The innovative foam jet produces a thick foam, thus making possible an even more powerful cleaning performance. The accessories kit for wood cleaning is suitable for all Kärcher consumer pressure washers in classes K2 - K7. 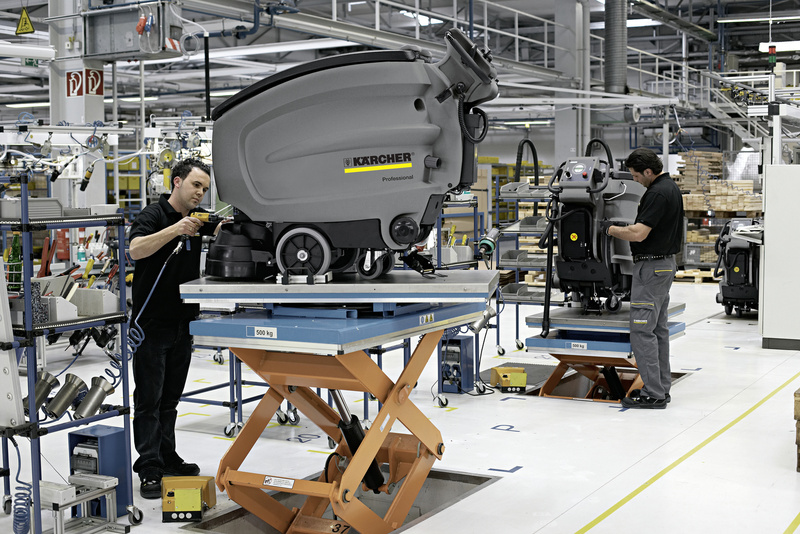 Extra powerful cleaning performance compared to a normal scrubber. For maximum cleaning efficiency, care and protection in one procedure. For faster and more convenient change of detergent with a single click.